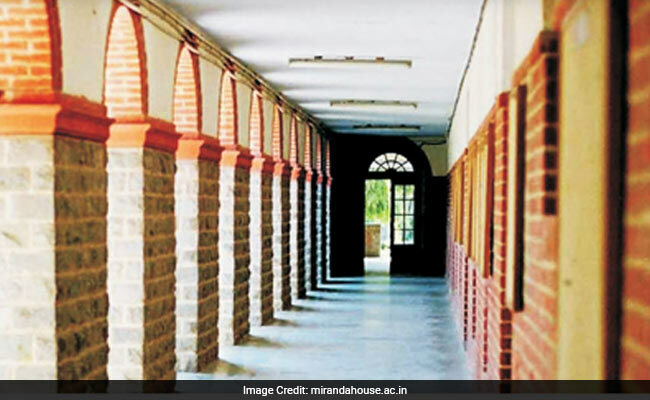 Miranda House, Delhi University has again been ranked the best college in the India Rankings 2018. New Delhi: MHRD has announced the list of top colleges in the country. Miranda House, Delhi University has again been ranked the best college in the India Rankings 2018. There have been some new entrants to the list of top colleges this year. While last year there were six Delhi University colleges in the list, this year the number has reduced to five. If there has been a major shuffle in the rankings in any category, it is among the colleges. Loyola College, Chennai has moved down to sixth rank from its second rank last year. St. Stephens which had not participated in the rankings last year, has clinched the second spot. Bishop's Heber college, Tiruchirapalli has moved up one rank to the third place. Hindu College is also a new entry to the list at fourth rank. Presidency College, Chennai at fifth rank is also a new entry to the list. Shri Ram College of Commerce has taken the seventh spot and Lady Shri Ram College which was at the seventh spot last year has moved down to eighth spot. The top ten list is rounded by two new entries, Ramakrishna Mission College Howrah at ninth and Madras Christian College Chennai at tenth spot.